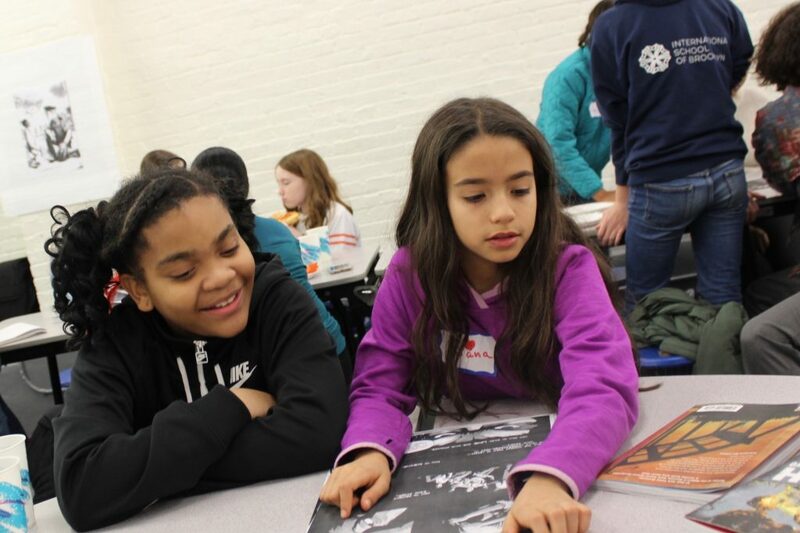 With the innovative and loving work of numerous staff members and parent volunteers, ISB’s Multicultural Book Club hosted its first-ever meeting with students! 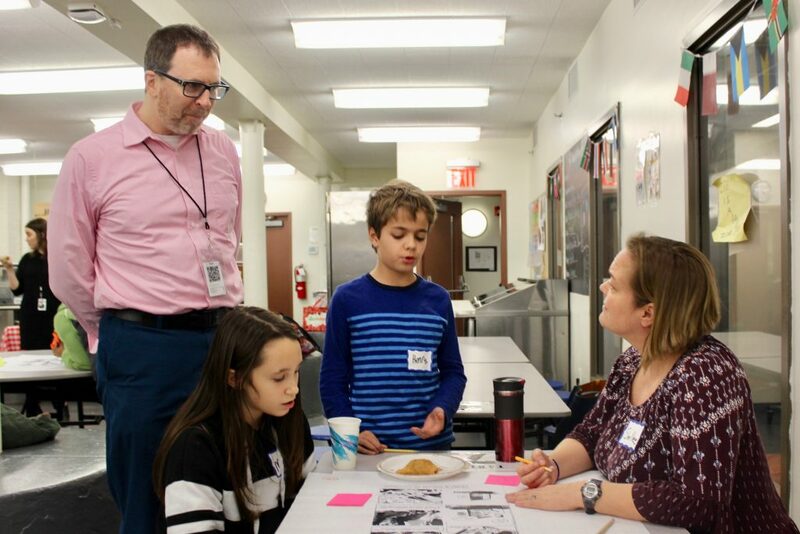 On a cold January night, during the week of Martin Luther King, Jr. Day, a group of faculty members, parents, and students in 5th through 8th Grade gathered over dinner to engage in a discussion about Congressman John Lewis’ trilogy March. This powerful, autobiographical series of graphic novels, authored by John Lewis and Andrew Aydin and illustrated by Nate Powell, tells the story of the life of John Lewis and the Civil Rights Movement, framed through the lens of the Obama inauguration in 2008. The evening began with a brief screening of Lewis’ historic speeches both from the 1960s and 2008. Next, the book club split into smaller groups, led by Director of Middle School Richard Brownstone, Librarian Maria Falgoust, and MYP Coordinator and English Teacher Katie Rogers, to answer a series of discussion questions on the Civil Rights Movement and graphic novel series March Trilogy. 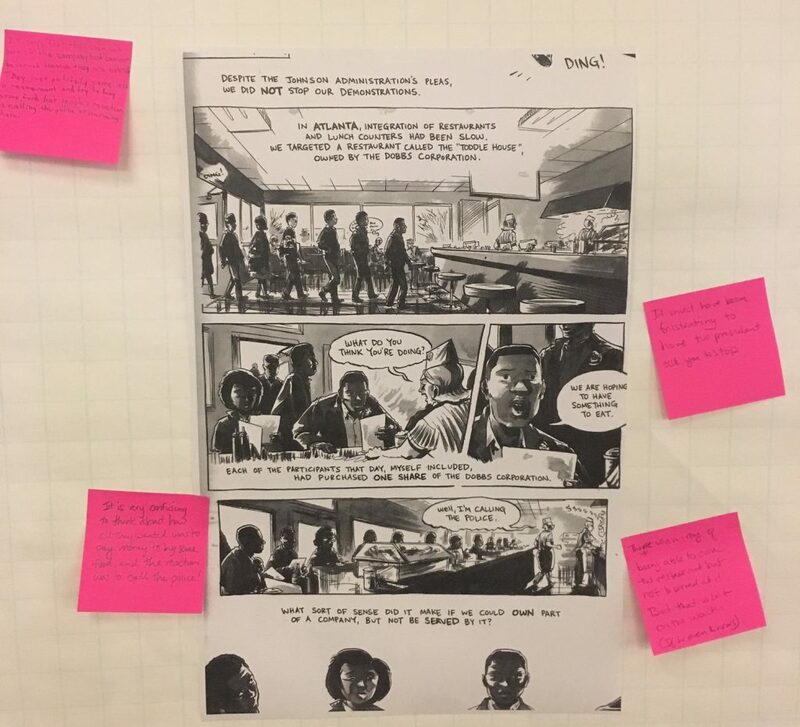 With a number of important illustrations enlarged and distributed to each group, students had the opportunity to discuss the nonviolent strategies utilized by civil rights activists, the author and illustrators’ intention in portraying the specifics of certain scenes, and certain literary devices they used in the telling of the story. 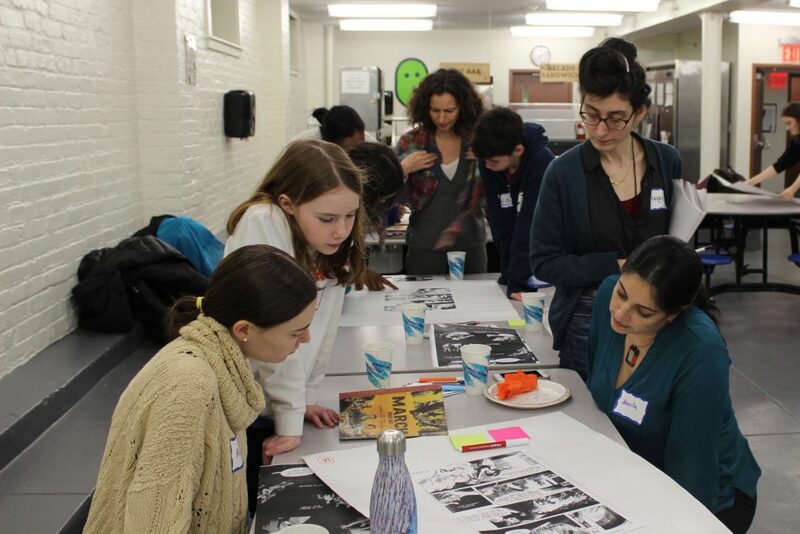 Guided by a series of thought provoking discussion questions, the groups took turns annotating the enlarged pages and engaging in discussions on the themes of solidarity, non-violence, and civil activism. These powerful enlarged images and our book club’s thoughtful annotations are now on display in the Learning Commons. This was a very special opportunity for students across different grades and language tracks help guide to an important conversation about this moment in American history. We look forward to the next opportunity to bring these young voices into the ISB multicultural book club discussion. The March trilogy is still available for check out in the ISB Library!